These are the straws that started it all. Milk Magic, the easiest and most fun way flavor a glass of milk. These fun straws have been helping parents persuade picky drinkers to sip their milk and have empty glasses for over a decade. 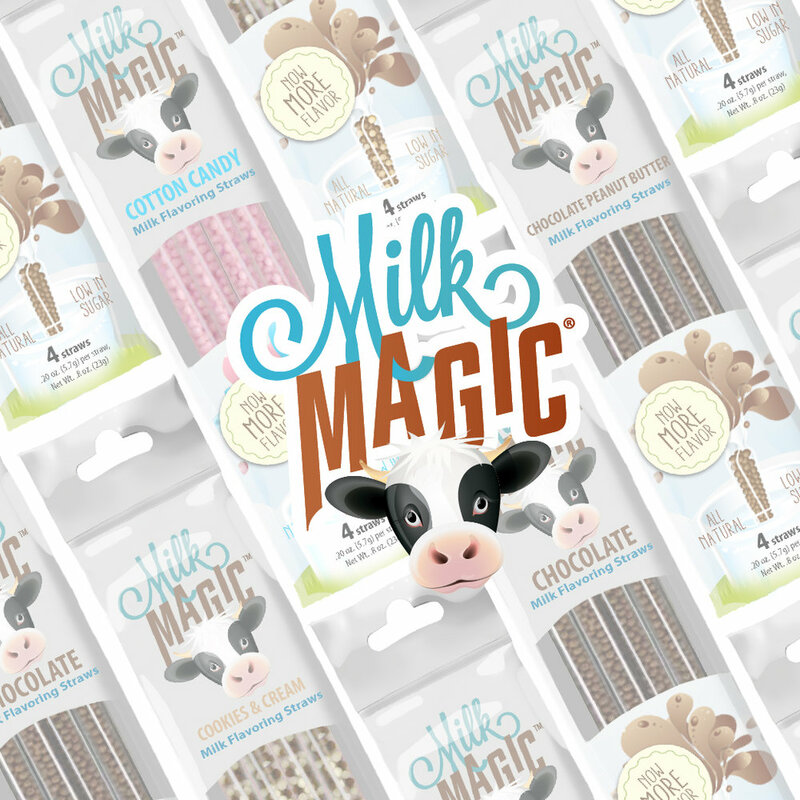 With over half a billion straws sold, Milk Magic has become a staple item in homes across the country. Create an experience around drinking milk and watch it disappear, with Milk Magic. And as always gluten free, non-gmo, and BPA free straws. Our newest innovation in sipping, Water Magic, is here to keep you hydrated. A first of its kind flavoring straw with the added fun of fizz! These straws create a unique experience by creating two flavors in the straw. Starting with the beads dissolving and creating the first flavor, then the effervescent tabs start to dissolve and add a whole new layer of flavor. Water Magic is the conveniently fun, flavored hydration. And as always gluten free, non-gmo, and BPA free straws. We are here to innovate the way you sip, by creating an experience you won't forget.